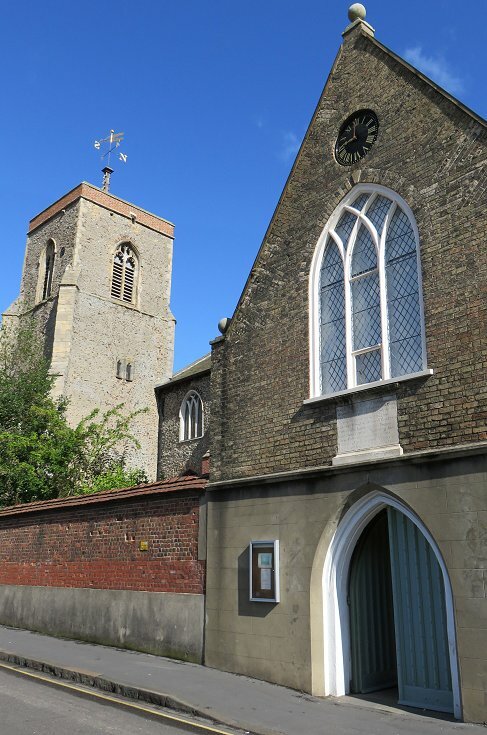 This ancient church forms part of a site housing the Great Hospital founded in 1249 by the Bishop of Norwich to care for elderly homeless people including, it is reported, "decrepit priests". The west end was built as an infirmary linked via an open nave arch to a large chancel. At the time of the Reformation, both were walled off and converted into ward accommodation. The organ was presented by Revd Wm Frederick Patterson, who was vicar of St Helen's and chaplain of the Great Hospital for 57 years. The Great Organ dates from 1850 and was by Norwich-based builder Mark Noble. The Swell was added in 1859, possibly by his son, also named Mark Noble. Hill, Norman & Beard restored the instrument in 1953 and an electric blower was added in 1956. 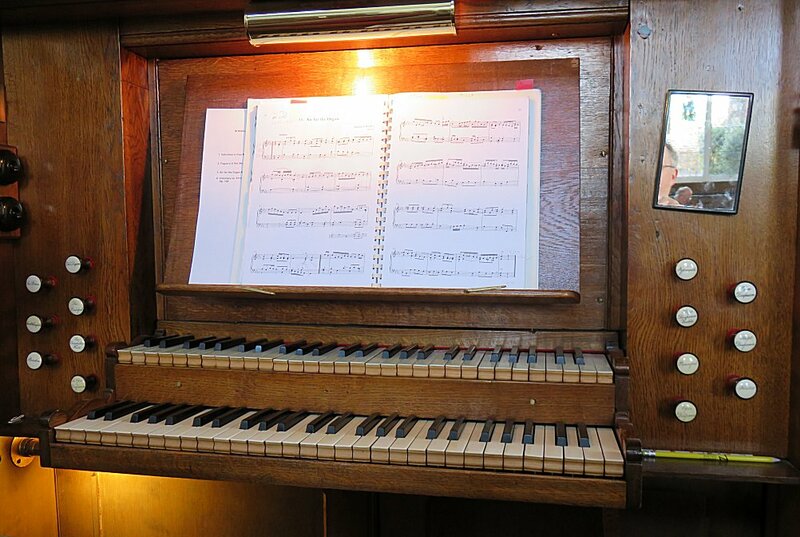 The instrument is otherwise remarkably unmolested and was awarded an Historic Organ Certificate by BIOS in 1996. Successful fundraising in 2005/6 enabled a further restoration. 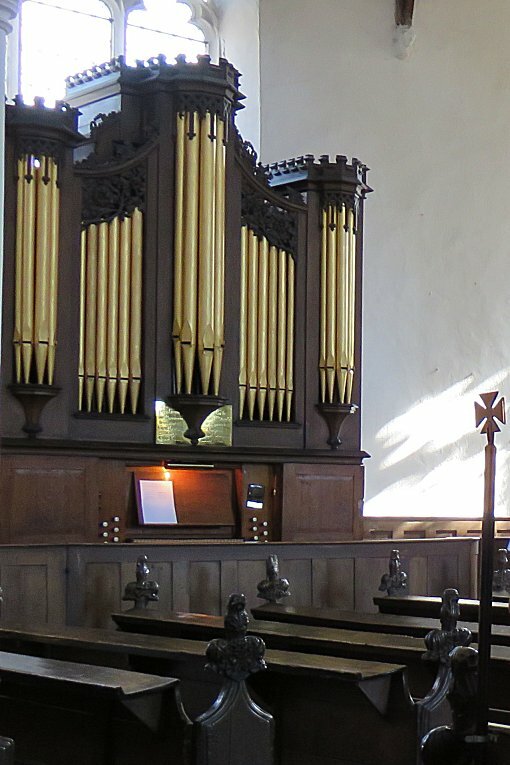 An interesting original feature that has been retained is the absence of Pedal Organ stops, the straight & flat pedalboard being permanently coupled to the stops of the Great Organ. The majority of ranks of both divisions end at tenor G. The recital by Andrew Hayden during the 2015 IAO Congress therefore focussed on works by English composers of the late 18th / early 19th century. You can listen to this organ as November 15's Music of the Month.